The Chicken Shop offers foodies a boutique take away experience that is healthy and delicious. 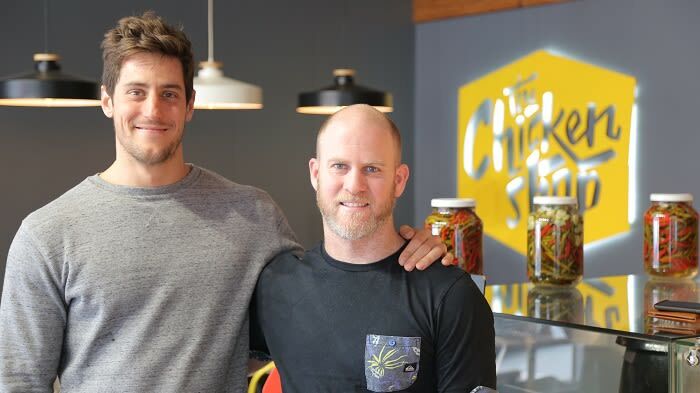 Owner Jarryd Segal says they wanted to give Capetonians a full on experience using local, fresh, organic and seasonal South African produce to create delicious dishes, perfect for any day of the week. He says with Chicken Shop meals, you can enjoy your food without feeling guilty. It is a healthy home-cooked fast food meal that you don't have to feel guilty about. Chicken is a popular protein in South Africa and everybody really loves it..
Segal says he adopted the concept from Australia and thought it will do well in South Africa when he moved back to South Africa from Australia about two years ago. See video of what triggered your security alarm, even if you aren't near it! Tigue Little says Sentian's system sends a 12-second video showing you what triggered a client's alarm. Stephen Grootes takes a look at a report in the Citizen on how Sanral has almost reached the end of the road with e-tolls.